Have you noticed the Moon being larger and brighter over the last few nights? Have you also noticed the tides being higher than normal? The two are related. On Monday the 14 November, the full Moon coincided with the Moon making its closest approach to the Earth on its elliptical orbit. The technical name for this is the perigee-syzygy of the Earth–Moon–Sun system but it is commonly known as a supermoon. The moon on Monday was at its closest point to the Earth for 68 years, the last time it was so close was on the 26 January 1948 and it wont be as close again for another 18 years. The gravitational force exerted by the Moon has the largest effect on tides on Kosrae and when the moon is closer to the earth the tide range (the difference between high and low tide) is greatest and high tides are higher than normal (often known as King Tides). This is why high tides have been so large over the last few days. In addition average sea levels are around 5-6 inches higher than normal pushing all tide levels up even higher at the moment. The high tides in the afternoons of this week will have caused some flooding of low-lying land. However, wave conditions around high tide did not appear to be too large, reducing the occurrence and impact of wave overwashing of land. 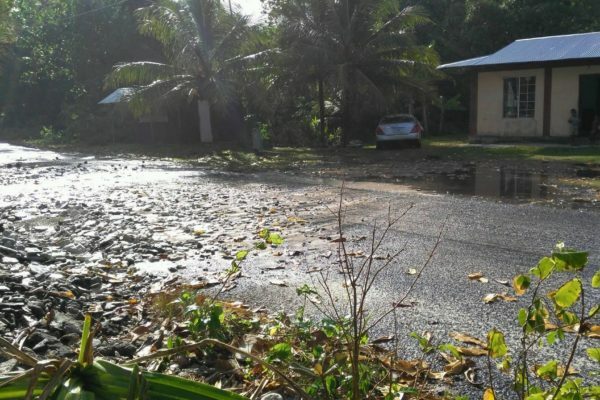 Flooding and overwash of the road did occur again at Mosral, with some flooding of residences on the seaward side in Utwe also occurring on Tuesday. Kosrae measures sea levels using a tide gauge at Marine Resources dock in Lelu Harbour. This measures sea levels every 10 minutes and this month is its fifth birthday. The high tide on Tuesaday at 3:40 pm was the highest sea level recorded during these 5 years with a height of 2.29 m (or 7.52 feet). You can find out more information about tides on Kosrae and how we measure them here. Kulo ma lulap to Moses Carlton for the photographs and Robert Jackson and Blair Charley at KIRMA for the information on flooding. We would welcome any other information or photographs on areas flooded. 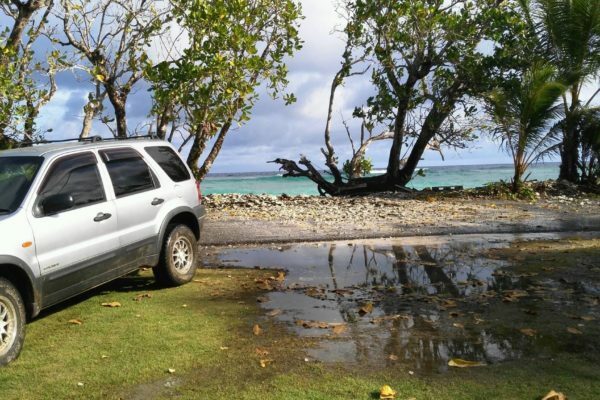 Sea levels are now close to normal around Kosrae. 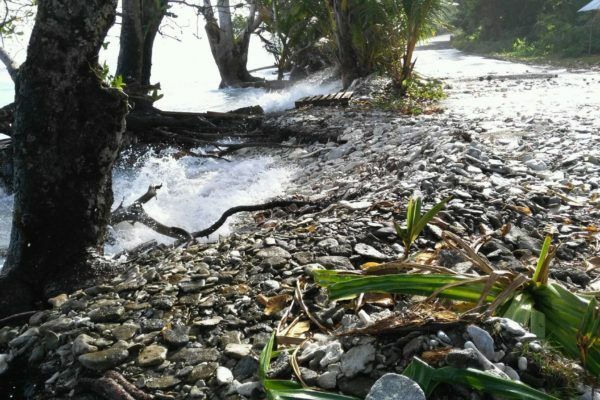 Sea levels are beginning to rebound around Kosrae in the aftermath of the El Nino peak. On average they are forecast to be around 2 inches lower than normal over the next three months resulting in lower than normal low tides and less risk of very high tides and associated flooding. Sea levels continue to be lower than normal around Kosrae as El Nino conditions cause lower sea levels across the western Pacific. It is estimated that sea levels and hence tide levels may be around 4 inches (10 cm) lower than normal over the next three months resulting in lower than normal low tides and less risk of very high tides and associated flooding. 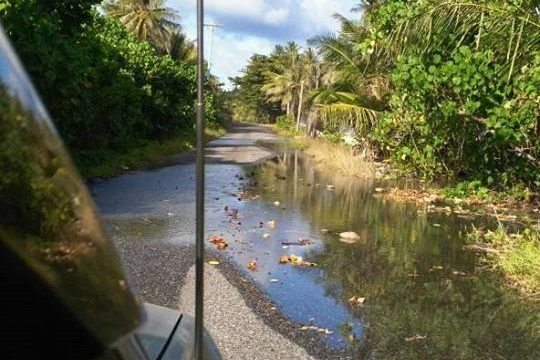 Sea levels haven fallen significantly around Kosrae as El Nino conditions across the Pacific continue. It is estimated that sea levels and hence tide levels may be between 6 to 8 inches lower than normal over the next three months resulting in much lower than normal low tides and less risk of very high tides and associated flooding. 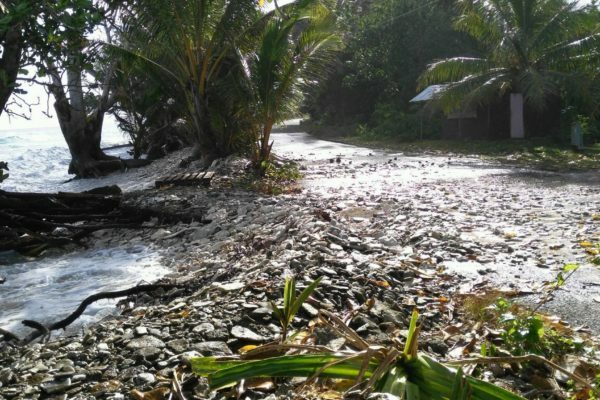 Sea levels continue to fall around Kosrae as El Nino conditions continue. It is estimated that sea levels and hence tide levels may be between 6 to 8 inches lower than normal over the next three months resulting in lower than normal low tides. Strong El Nino conditions are still occurring across the Pacific region. This 2015/16 El Nino is now one of the top 3 strongest events of the last 40 years, similar in strength to the 1982/83 and 1997/98 events. 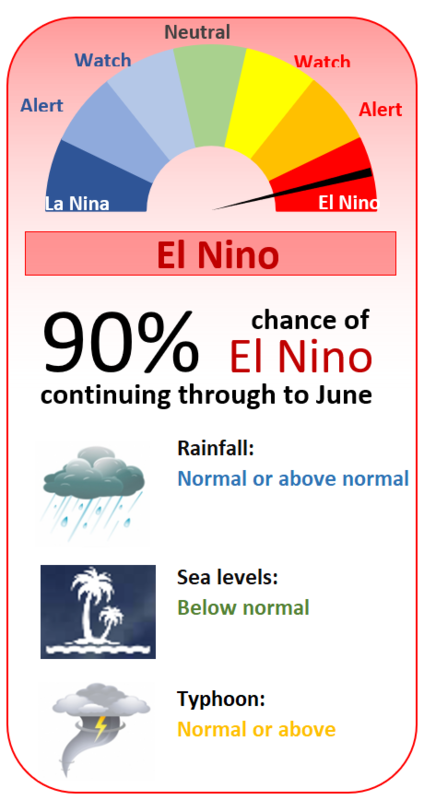 Over the next few months it is expected that El Nino conditions will weaken. 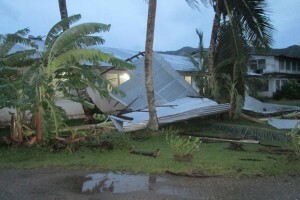 The El Nino has been responsible for the increase in westerly winds, unsettled weather and number of tropical depressions and storms that Kosrae experienced in 2015. During the early period of El Nino conditions typhoons tend to form or track closer to Kosrae. What should you now be aware of? 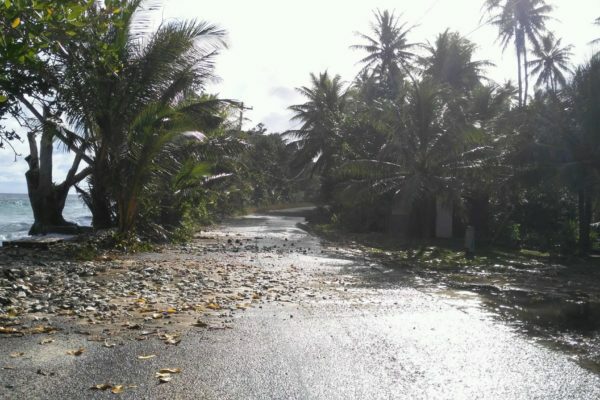 In 2016 Kosrae is expected to be at much lower risk of being impacted by severe typhoon than during than in 2015. Drought conditions will continue to be potentially severe through to June 2016. Less rain and drier conditions will typically be seen over the first half of 2016 (50% of normal between January and March 2016 and 75% of normal from April to June 2016). Throughout the coming months ensure your water tank is full and that there are no leaks in the guttering leading in to the tank or in the water pipes to your property. Keep an eye on your water usage, and reduce if rainfall does become less. The low sea-levels that have been experienced over the last few months will tend to rebound over the next few months with sea levels coming close to normal by the middle of 2016. 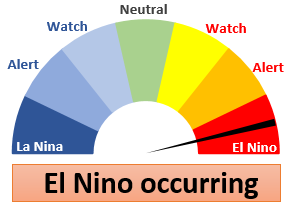 The last El Nino occurred during 2009-10 and was moderate in strength. The last major El Nino to cause severe drought problems in Kosrae occurred in 1997-98. 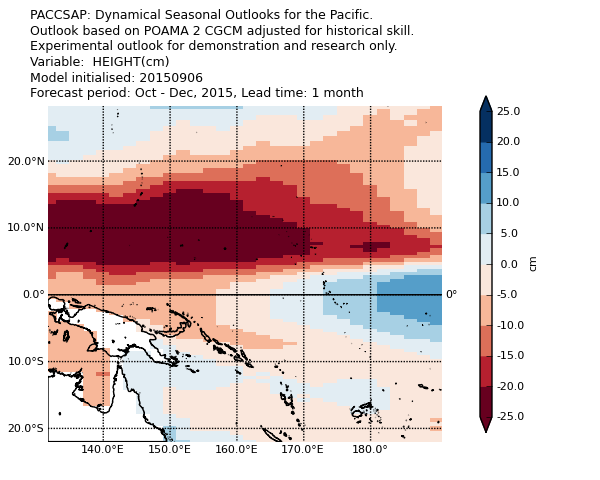 For more information on current El Nino conditions and their impact on Kosrae see the Pacific ENSO Update newsletter. A new video showcasing some of the climate change adaptation activities on Kosrae was launched in Samoa at the Pacific Climate Change Roundtable on Tuesday 12 May. Over the night of Friday 8th and Saturday 9th May Tropical Depression 07W / Tropical Storm Dolphin caused wind damage to vegetation and light structures across Kosrae, as well as flooding of property in Utwe due to large swell. Some initial photographs of the damage are available here.